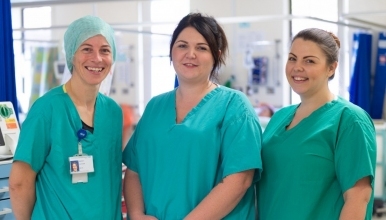 The Endoscopy Unit at The Princess Royal Hospital, Telford are looking to recruit a part time (28 hours) Band 5 Staff Nurse/ Operating Department Practitioner to join their team on a permanent contract. The unit currently provides a service for both out-patients and in-patients including the following procedures; Endoscopy, Sigmoidoscopy, Colonoscopy, Bronchoscopy, Cystoscopy, PEG insertions, ERCP and EUS. The pre-assessment of patients from clinic that require an Endoscopic procedure; providing skilled and considerate care during the patients admission; taking into account the patients specific needs during the procedure; recovery and discharge; preparing the equipment and the environment to enable the procedures to be carried out to a high standard safely.